Few days ago we got a new and joyful event in our household. 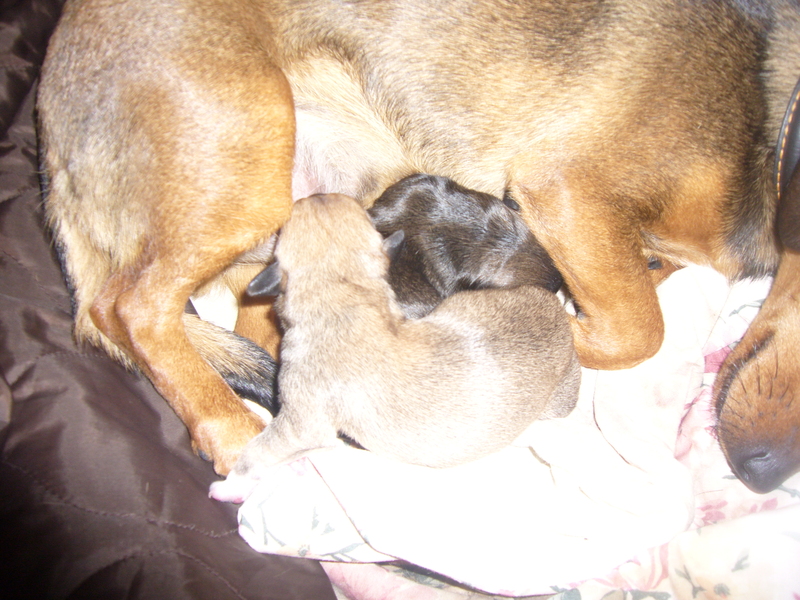 Our dachshund mutt has brought puppies. Just wanted to share the photos of these newborn puppies with you. The dog’s name is Cleo. 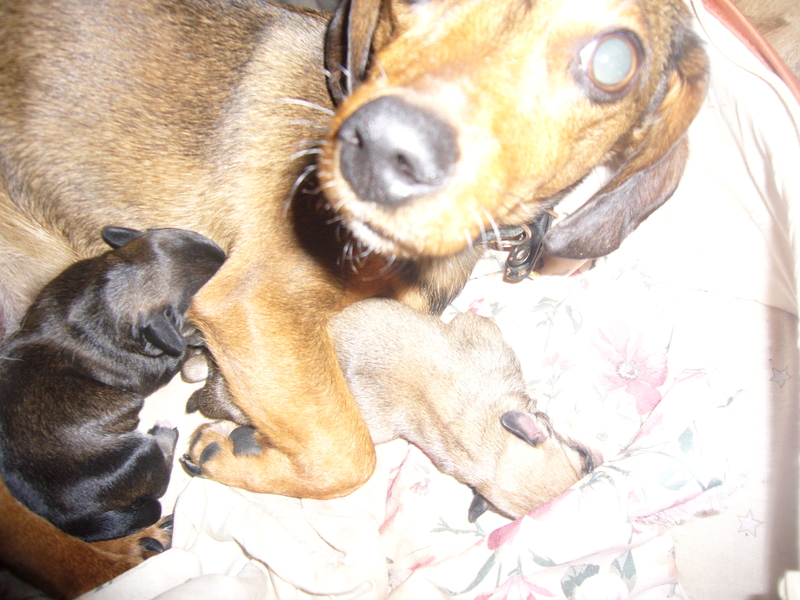 It’s a mini dachshund mutt and she’s got two newborn puppies. This entry was posted in Uncategorized and tagged dachshund, dachshund puppies, my pets, newborn puppies, newborn puppies photos, pet photos, pets, photos. Bookmark the permalink.